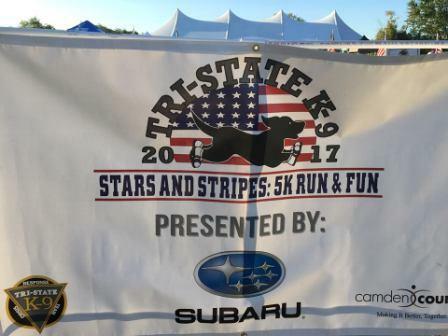 Winslow Animal Hospital recently attended the Tri-State K-9 Stars and Stripes 5k Run & Fun presented by Subaru and Camden County Board of Freeholders in Pennsauken, NJ. We were so happy to see Henny there!! Henny is a wonderful pitbull on whom Dr. Philippe Coudrai performed a Modified Maquet Procedure in December, 2015. 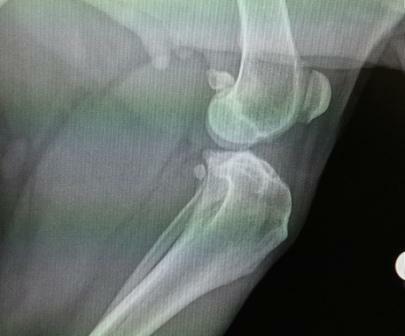 Henny’s X-Ray prior to orthopedic surgery at Winslow Animal Hospital. Henny’s owner had met us at Woofstock in 2015. She brought Henny for an orthopedic consultation in November. Henny came to us in pain, struggling with an ACL injury that caused partial left hind leg lameness. Dr. Philippe Coudrai performed the Modified Maquet Procedure, inserting a titanium foam wedge to restore function of the knee. 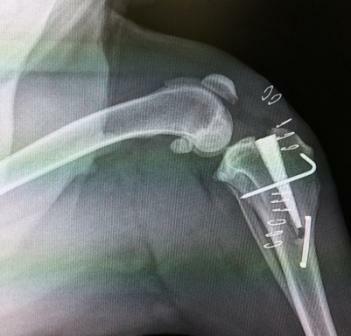 Henny’s repaired knee after Dr. Philippe Coudrai performed a Modified Maquet Procedure. After orthopedic surgery, Winslow Animal Hospital patients undergo rehabilitation with Linda Franzini, Certified Canine Rehabilitation Practitioner. This includes work in our aquatic treadmill. The water is raised to the pet’s chest height to relieve pressure that is placed on the joints. The treadmill then provides an opportunity to work the muscles against the resistance of the water for added strengthening. Henny is doing great! Not only is the 8-year-old pitbull able to get around, she’s thriving! 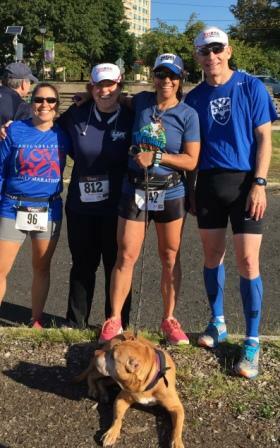 Henny completed the Tri-State K-9 Stars and Stripes 5k Run & Fun alongside her Mom. 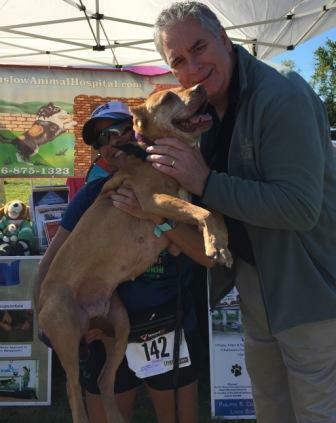 Thanks to the surgery & rehabilitation she received at Winslow Animal Hospital, Henny has returned to the fun, adventurous life she was meant to live! winslowadmin | Pet Health, Pet Stories, Surgery, What's New at Winslow Animal Hospital!